Courtesy Santa Barbara Restaurant Week. 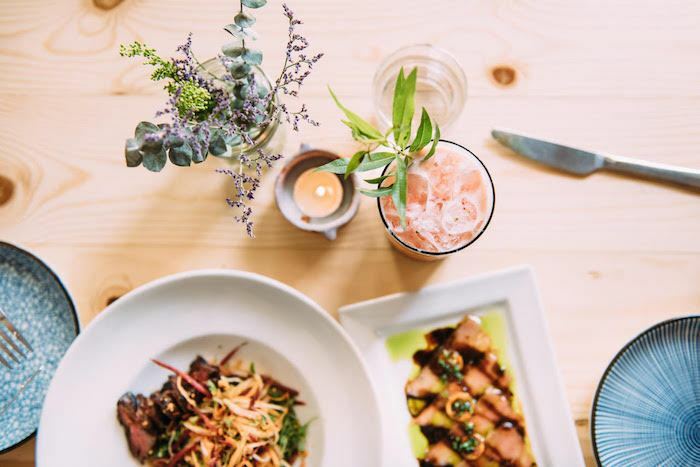 Experience and explore the best of Santa Barbara’s food scene at a great price during the second annual Santa Barbara Restaurant Week from February 22-March 3. This ten-day events will showcase the vast culinary world of Santa Barbara with restaurant options ranging from Asian to Farm-to-table to Vegan and more. 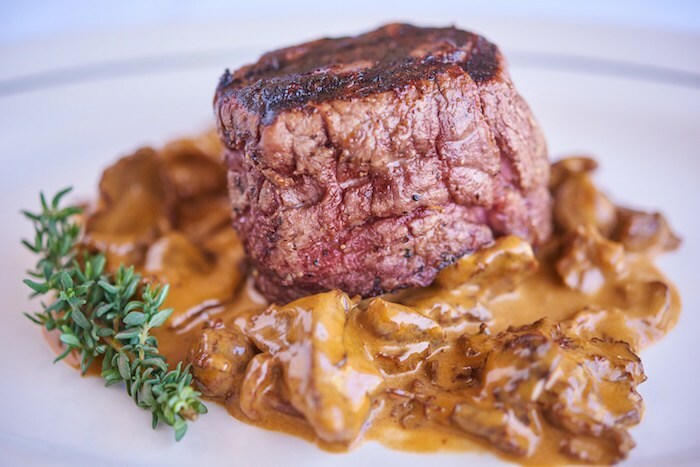 Prix-fixe menu options include a $25 two-course lunch and a $40 three-course dinner option. In addition, some local wine tasting rooms are offering special tasting experiences. Sama Sama, courtesy Santa Barbara Restaurant Week. Lucky’s, courtesy Santa Barbara Restaurant Week. 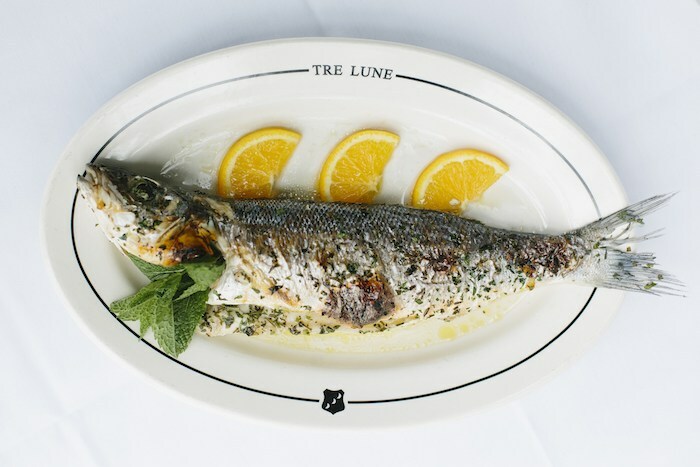 Tre Lune, courtesy Santa Barbara Restaurant Week. Visit SBRestaurantWeeks.com for more details. 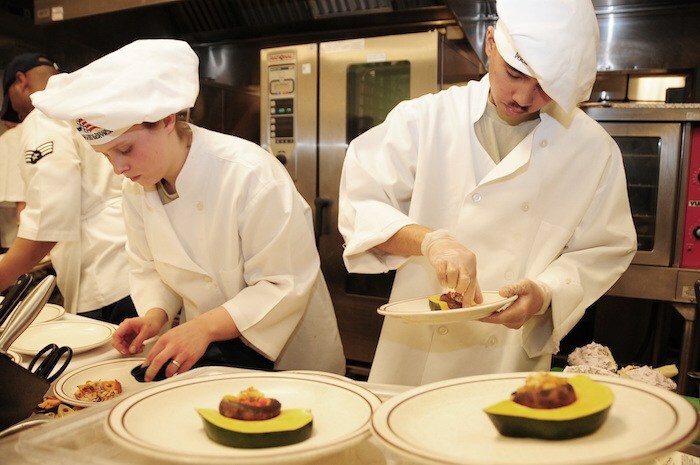 This year, proceeds from restaurant registration will help support ProStart, a two-year culinary arts and hospitality management program developed by the National Restaurant Association Educational Foundation and run by restaurant associations on a state level. Over 127 public high schools in California use this curriculum reaching 9,000 students. Santa Barbara Restaurant Week’s donation will specifically go to the California Restaurant Association Foundation’s ProStart program. Originally published in Santa Barbara Seasons on February 20, 2019. Puesta Del Sol cocktail by finalist Loquita, photo by Loquita, courtesy of Visit Santa Barbara. Last year’s winner was “Ginspiration Point” by Alcazar Tapas Bar—a delicious homage to Inspiration Point, one of the most popular hiking trails in Santa Barbara’s foothills. Who will win bragging rights in the Second Annual “Official Drink of Santa Barbara” Cocktail Contest? Visit Santa Barbara hosts this fun and lively competition on Thursday, June 21 at El Paseo Mexican Restaurant (813 Anacapa St., Santa Barbara) from 5-8 p.m.
Biltmore Fuerte cocktail by finalist Four Seasons Resort The Biltmore Santa Barbara, photo by Four Seasons, courtesy of Visit Santa Barbara. 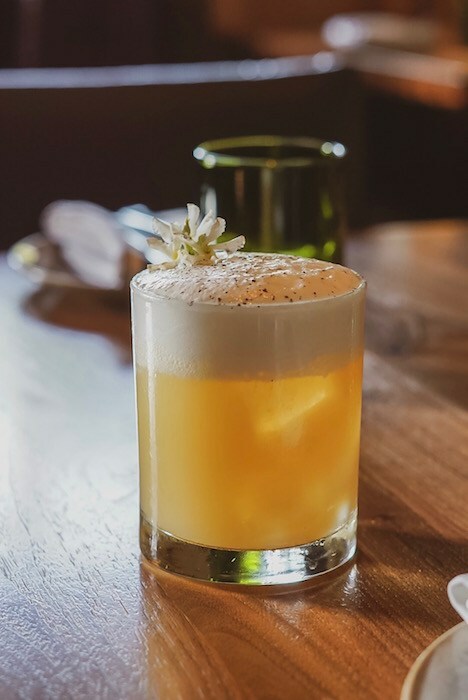 “We invite the public to sample the drinks of some of our region’s most creative mixologists, root on their favorites, and raise a toast to our community’s extraordinarily gifted food and drink professionals,” says Visit Santa Barbara President/CEO Kathy Janega-Dykes. 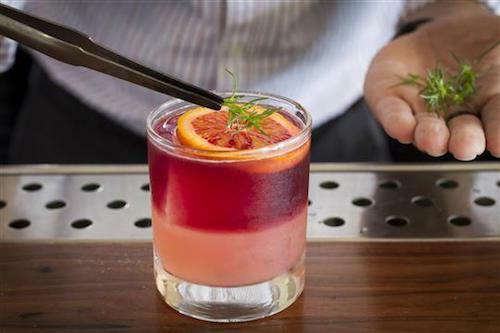 Local restaurants and bars were once again invited to develop a new, unique signature mixed drink that celebrates the distinctive attributes of The American Riviera. The creation must include a spirit from Cutler’s Artisan Spirits, a locally owned small-scale craft distillery located in the Funk Zone. Contestants were encouraged to use at least one local ingredient and take inspiration from Santa Barbara’s dramatic landscapes, architectural landmarks and culinary scene. The Drive Home cocktail by finalist Finch & Fork, photo by Finch & Fork, courtesy Visit Santa Barbara. The finalists were selected by the public. The winning cocktails include: “Biltmore Fuerte” by Four Seasons Resort The Biltmore Santa Barbara, “The Drive Home” by Finch & Fork, “Riviera Hermosa” by Santo Mezcal, “Puesta del Sol” by Loquita, and “The American Riviera” by Santa Barbara Brewing Company. Riviera Hermosa cocktail by finalist Santo Mezcal, Photo by Santo Mezcal, courtesy of Visit Santa Barbara. The live competition is emceed by Gabe Saglie, television personality and senior editor for Travelzoo. 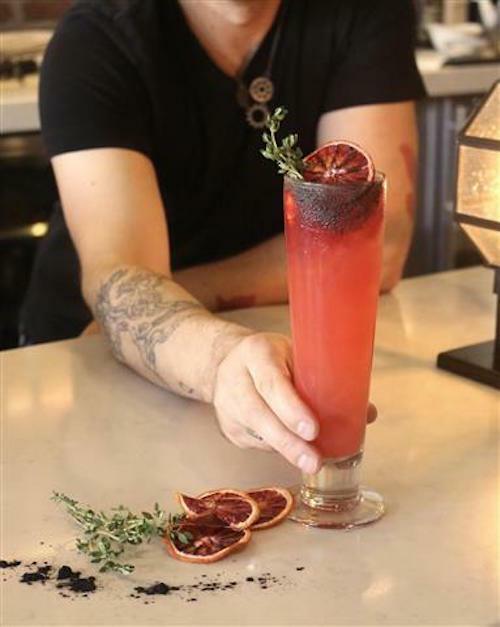 The cocktail judges include: food and wine author and columnist Michael Cervin; writer and publisher of Unique Eat and Eateries of Santa Barbara Geneva Ives; senior editor for the Santa Barbara Independent, Matt Kettmann; and “2017 Official Drink of Santa Barbara” winner and owner of Alcazar Tapas Bar, Alvaro Rojas. In addition, Santa Barbara Independent contest winner Gina Andrews was also selected as a judge. I got to be a judge last year and I can tell you, these guys are in for some tough decisions. I’ve already sampled both the Biltmore and Finch & Fork’s entries and they’re both excellent. The American Riviera cocktail by finalist Santa Barbara Brewing Company, photo by Santa Barbara Brewing Company, courtesy of Visit Santa Barbara. Tickets are on sale now. The cost is $25, and includes two glasses of wine, appetizers and a sample of the five finalists’ entries (while supplies last). Casa Dumetz Wines and Margerum Wine Company will be pouring wine. Beer and cocktails are available for purchase at the bar. Click here to purchase tickets and for more information. Must be 21 and older to attend. Originally published in Santa Barbara Seasons on June 16, 2018. Eureka’s new summer cocktails, courtesy photo. Santo Mezcal’s Margarita Jamaica, photo by Leslie Dinaberg. Nothing says summer like sipping a Margarita on the rocks on 4th of July weekend, as far as I’m concerned, but if you want to mix it up a bit, there are lots of great cocktail options around town. Switching out Tequila for Mezcal is one way to change things up, and Santo Mezcal (119 State St.) has some delicious options in that regard. Try the Margarita Jamaica with Mezcal (or Tequila) and spiced hibiscus syrup, lime and hibiscus flowers for a drink that’s as pretty as it is tasty. Sama Sama Kitchen’s Cherimoya Daquiri, courtesy facebook.com. got a seasonal Cherimoya Daiquiri on the menu, made with white rum, spiced liqueur, cherimoya juice, orange blossom honey and lime. Yum! gin, watermelon, lemon and gomme syrup, photo by Elisabetta Antonacci. now, made with gin, watermelon, lemon, gomme syrup. This is summer in a glass! And what could be more summery than a cocktail called Tan Lines, new on the menu at Eureka! (601 Paseo Nuevo) and made with vodka, Chareau Aloe, lemon, mint, watermelon and sparkling wine. Bar 29 (1134 Chapala St.) is a fun, newish place to do some summer sipping. New to their menu this month is The Arlington, made with Bourbon, White Peach, Grapefruit, Lemon and Honey. The Arlington at Bar 29, Courtesy photo. Viva! 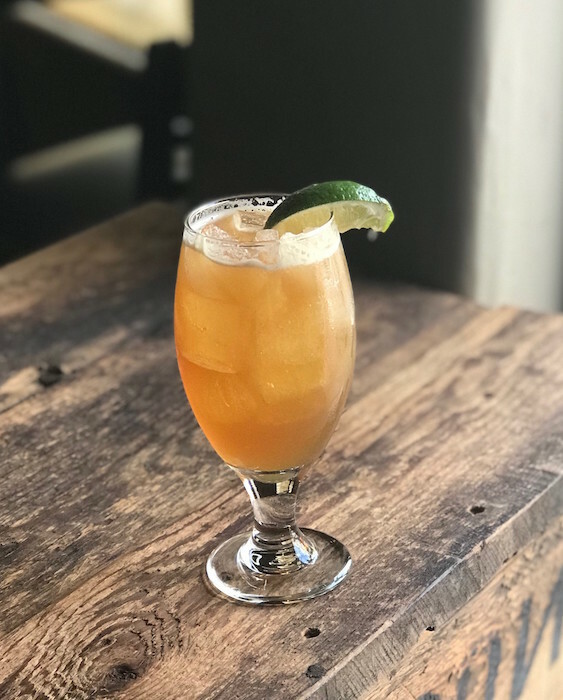 (1114 State St.) has an extensive Margarita menu, including a delicious Blackberry Margarita made with fresh lime, agave, and Combier blackberry liqueur. And of course, we can’t leave out the Blood Orange Margarita at the Boathouse at Hendry’s Beach (2981 Cliff Dr.), made with Mastero Dobel Blanco, blood orange, lime and Triple Sec served with a salted rim. (Add fresh jalapeno for some heat!) Your cares will melt away as you watch the sunset over the water and sip this refreshing treat. Originally published in Santa Barbara Seasons on June 30, 2017. 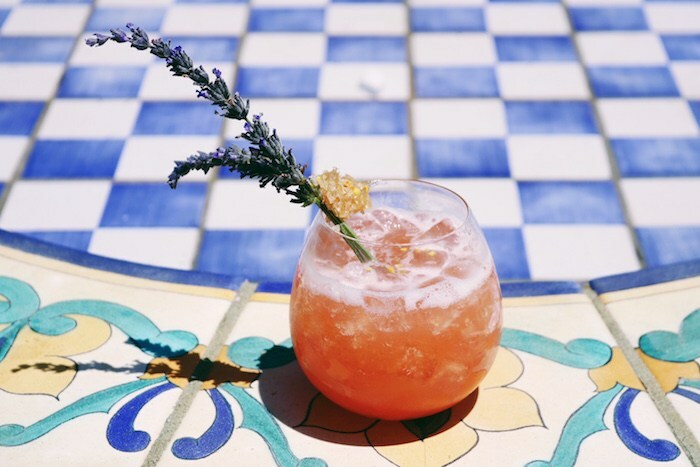 Cocktail Corner: Cheers to Santo Mezcal! Like its cousin Tequila, Mezcal is made from agave, which, contrary to popular belief, is not a cactus but is actually a relative of the yucca plant and Joshua tree. While tequila is only be made in the Tequila region (similar to Champagne, vs. sparkling wine labels), Mezcal is usually produced in Oaxaca (it can legally come from anywhere in Mexico) and can be made from many types of agave, some of which only grow wild. Santo Mezcal’s Santo Margarita, photo by Leslie Dinaberg. With a name like Santo Mezcal, I was expecting an impressive array of Mezcal cocktails to be available at Carlos Luna‘s new restaurant, (119 State St.) and thankfully wasn’t disappointed. The new restaurant combines the modern Mexican flavors we’ve come to know and love at Luna’s Los Agaves locations with some more sophisticated menu items and an impressive cocktail program. As you enter the restaurant, the sleek bar and a vast Mezcal and Tequila collection take center stage. Led by local mixologist Sean Sepulveda (of Cadiz and Nuance, among others), the cocktail menu includes house-made infusions and house-made fresh pressed juices from seasonal Farmer’s Market fruit, as well as beer and wine lists that are predominantly from Santa Barbara County, with standouts from across the globe. Santo Mezcal’s Margarita Picante, courtesy photo. We worked our way through much of the Margarita selection, particularly enjoying the Margarita Jamaica, made with spiced hibiscus syrup, lime, hibiscus flowers and—like much of the cocktail selections—your choice of Mezcal or Tequila. The spicy Margarita Picante was excellent too, as was the Santo Margarita. We also enjoyed La Mermelada (the marmalade), a seasonal cocktail made with your choice of Whiskey or Tequila (we chose Tequila), seasonal jam, lemon, agave nectar, seasonal fruit and mint. Santo Mezcal’s La Mermelada, photo by Leslie Dinaberg. Another really interesting choice is the Snow Pea Smash, with snow pea infused Gin, basil, Benedictine, pineapple, lime, hellfire bitters and micro cilantro. I’m also intrigued by La Flor Ahumada (the smoking flower), made with Mezcal, honey-lavender syrup, lemon and lavender bud, and Senora Rosada (pink lady) with Rum, raspberry gomme, pineapple, lime and Einstock white, powdered raspberry. All of the cocktails are in the $10-12 range. The food, spearheaded by Executive Chef Ricardo Garcia, has a focus on seafood. We loved the Camarones Al Mezcal, Mexican shrimp served in a creamy mezcal sauce; Pulpo a Las Brasas, octopus marinated in a special adobo served with house-infused chile oil; and Enchiladas Cabo Azul, stuffed with fresh crab. My favorite thing was probably the Ahi Tuna Ceviche and Ceviche Pulpo, two beautiful dishes combined into one plate for review purposes, that really highlighted the flavors and spirit of Santo Mezcal and Santa Barbara itself. Santo Mezcal’s Ahi Tuna Ceviche and Ceviche Pulpo, photo by Leslie Dinaberg. I think this new hot spot at the hub of the ever-evolving Funk Zone and Waterfront area is definitely here to stay. Originally published in Santa Barbara Seasons on June 23, 2017.